SINGAPORE - The Singapore Police Force has issued an advisory warning the public against protesting, in light of the Bersih-led rally in Malaysia over the weekend. 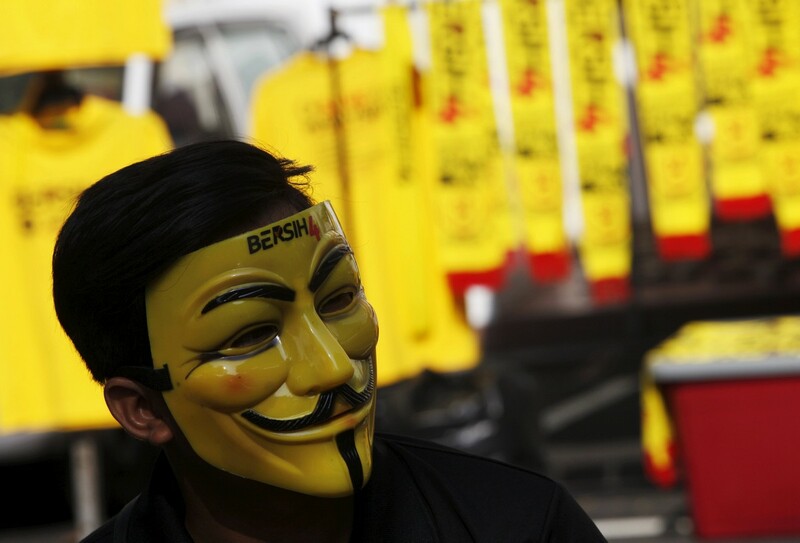 Police said in the statement that they have been made aware of calls encouraging Malaysians based here to organise and take part in events related to the protests over the Causeway. 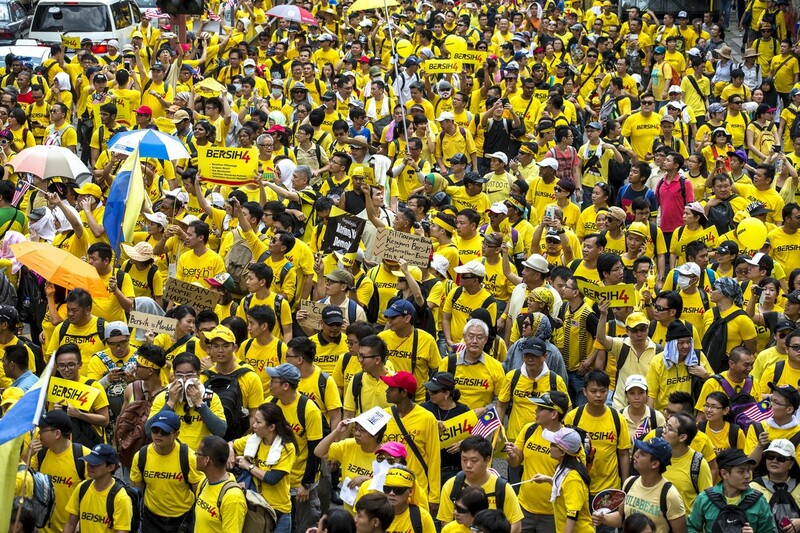 Malaysia's Bersih movement plans to hold a massive rally this weekend to demand the resignation of Prime Minister Najib Razak. 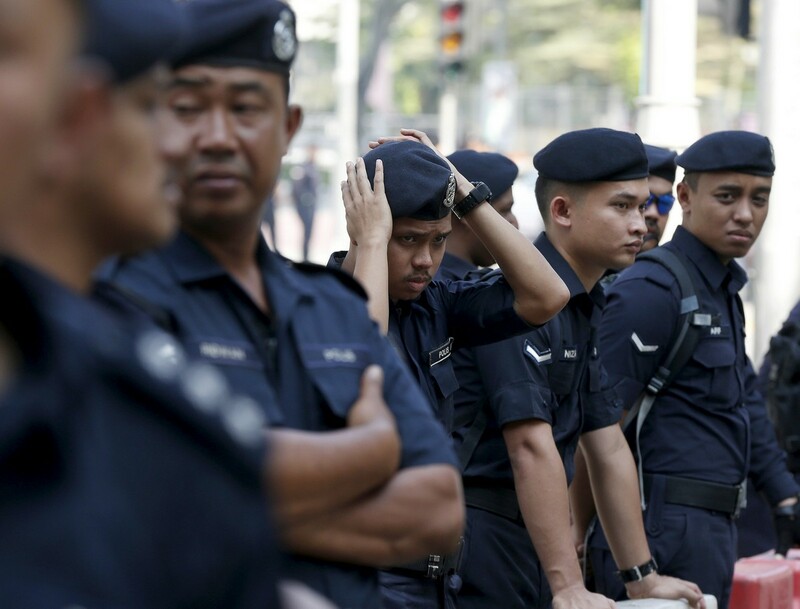 The police said in its statement that such public assemblies without a police permit are illegal in Singapore and constitute an offence under the Public Order Act. Lawbreaking foreigners could face termination of their visas or work passes where applicable, they added. The statement added: "Foreigners working or living here have to abide by our laws. They should not import issues from their own countries into Singapore which can disturb public order." 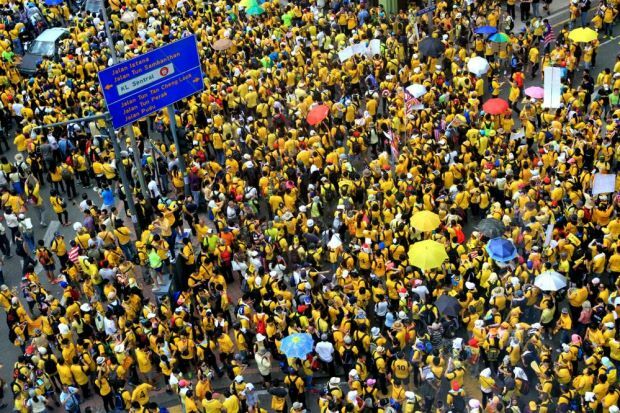 Bersih's organisers say protests will be held in Kuala Lumpur, Kuching and Kota Kinabalu from 2pm on Saturday until midnight on Sunday. Tun Dr Mahathir Mohamad and his wife Tun Dr Siti Hasmah Mohd Ali joined the participants at Bersih 4 at Dataran Merdeka in a surprise visit. 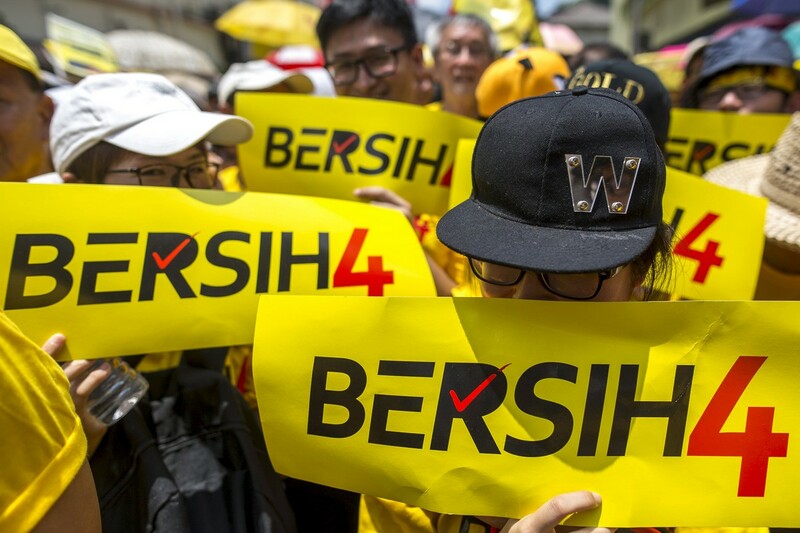 Bersih 2.0 chief Maria Chin Abdullah has insisted that its two-day Bersih 4 rally will proceed as planned on Aug 29 despite it being declared illegal by the authorities. 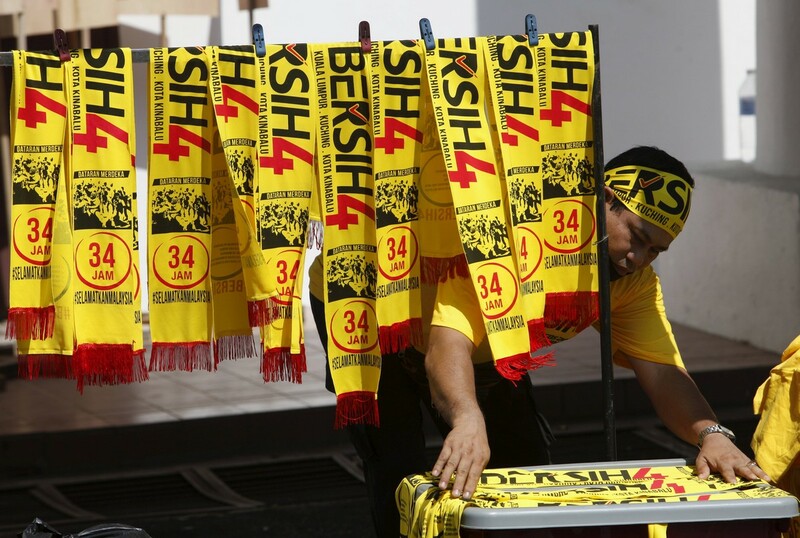 The High Court, however, had declared Bersih as a lawful society in 2012. The Bar Council's Human Rights Committee also said there was no such thing as an illegal rally any more. 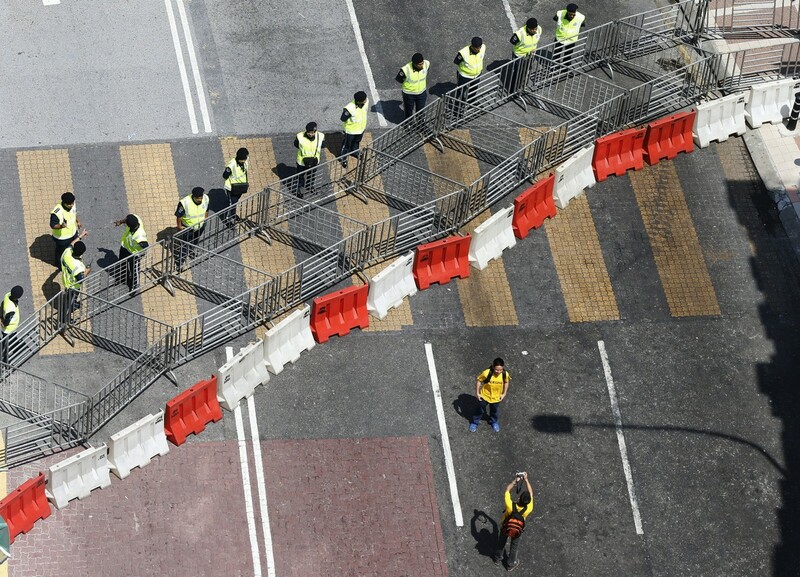 Its co-chair Andrew Khoo said: "The courts have taken a dim view of taking action against a person exercising his or her constitutional right to peaceful assembly." "However, with the new Section 124B of the Penal Code, attending a rally could be deemed an activity detrimental to parliamentary democracy." 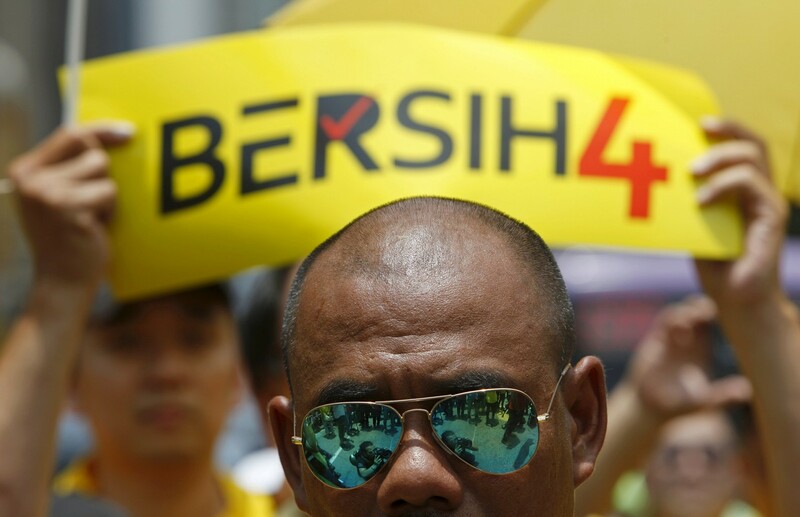 "This is untested legislation and the legal environment today is different from that in 2012 (when Bersih 3 took place)," he added. 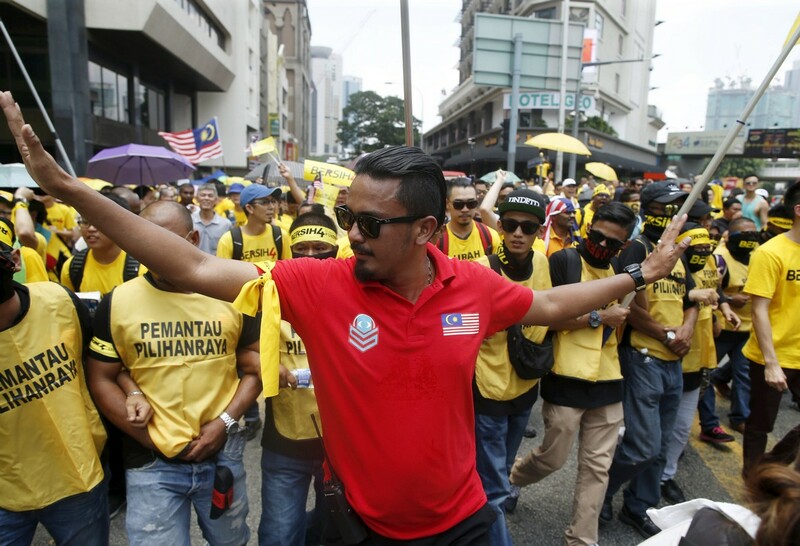 Lawyer Amer Hamzah Arshad also said each person had the right to assemble peacefully. He said the Court of Appeal decision in PKR lawmaker Nik Nazmi Nik Ahmad's case over the Black 505 rally was still applicable. On April 25 last year, the Court of Appeal acquitted Nik Nazmi, the Seri Setia assemblyman, ruling that his prosecution under Section 9(5) of the Peaceful Assembly Act (PAA) was null and void. The court held that Section 9(5) - which criminalises the failure to give a 10-day notice before a gathering - was unconstitutional because it criminalised the fundamental right to gather. 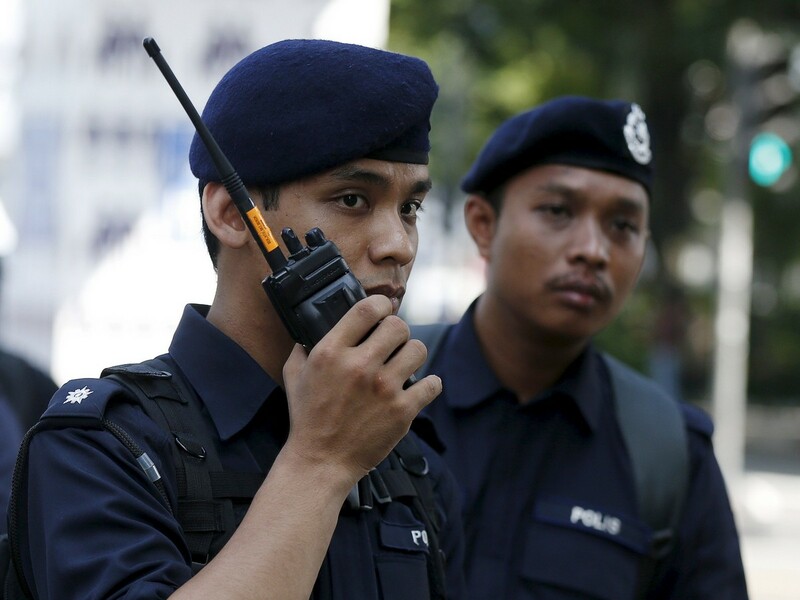 Amer Hamzah urged the police to concentrate instead on those who may try to sabotage the assembly or create trouble. "These groups should be stopped because they may want to subvert the objective of the rally." 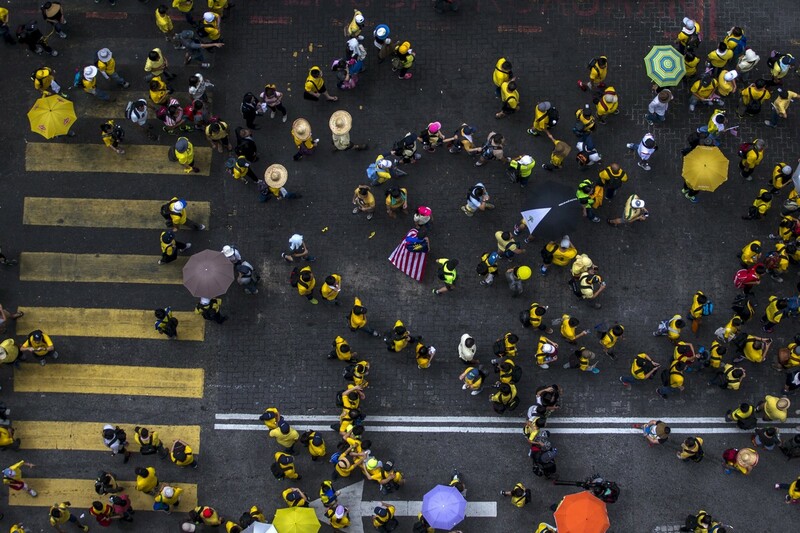 Malaysian Bar president Steven Thiru criticised the police decision to disallow Bersih 4, stating that the right to assemble peacefully was provided for in Article 10(1)(b) of the Federal Constitution. He said Section 27 of the Police Act 1967 required a police permit for assemblies but that provision was repealed in 2012. Steven pointed out that the PAA had no requirement for a police permit for an assembly. 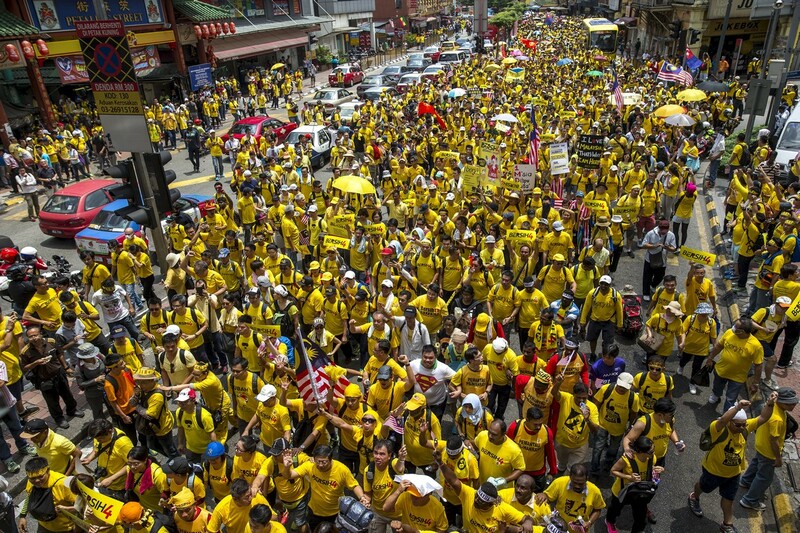 The crowds at the Bersih 4 gathering points in Bangsar, Central Market, Brickfields, Masjid Negara, Sogo and Menara Maybank are marching by the hundreds and thousands towards Dataran Merdeka. However, a police blockade has stopped the crowd from reaching the square. 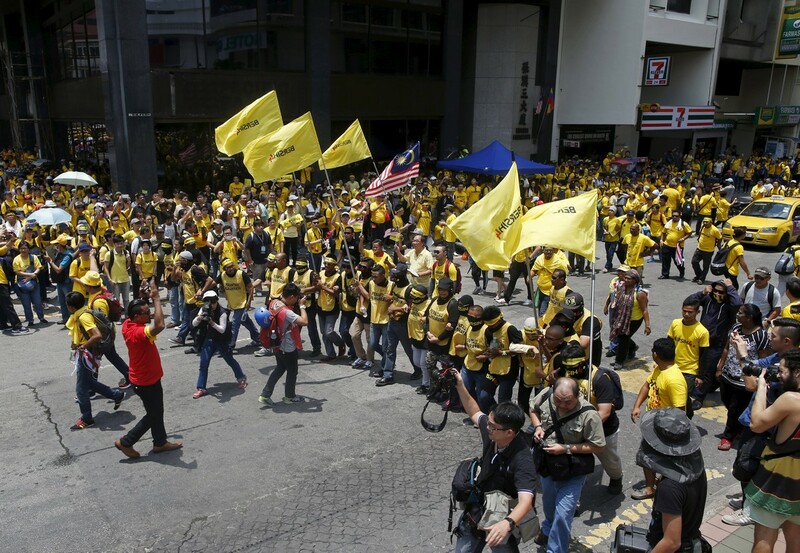 The group of assembled supporters from the various checkpoints has made base at the intersection of Jalan Tunku Abdul Rahman (TAR) and Jalan Pudu, close to the blockade, bringing traffic in the area to a near standstill. The rally officially started at 2pm in designated locations throughout the city. 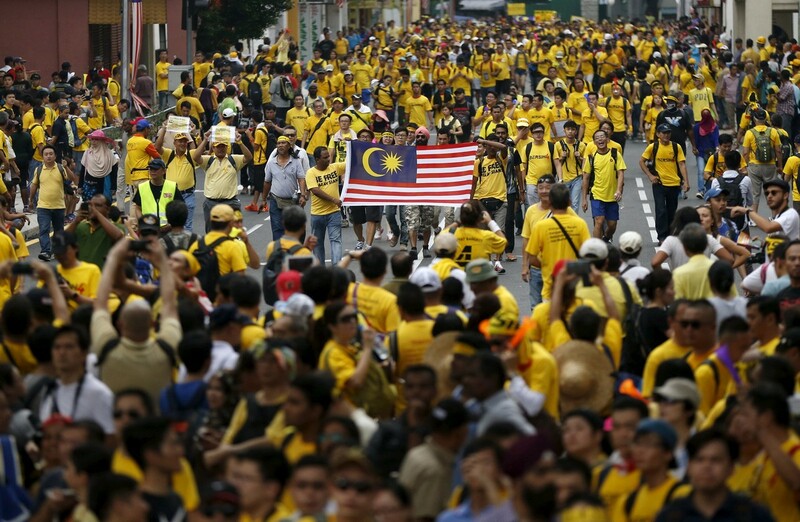 Participants were seen chanting, waving flags and banners, singing NegaraKu and blasting air horns. 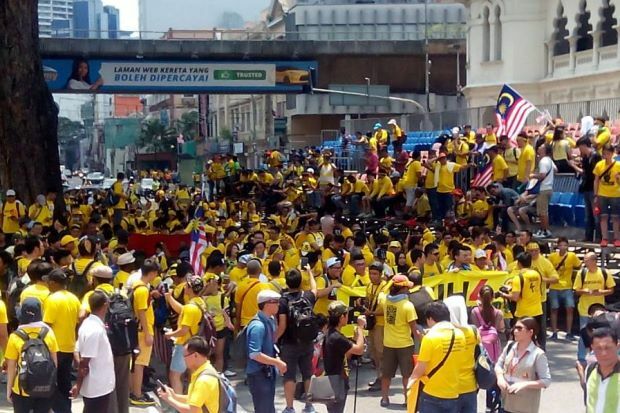 Notably absent are PAS supporters who came out in full force during previous Bersih rallies. The overnight rally will continue until 11.59pm on Sunday. 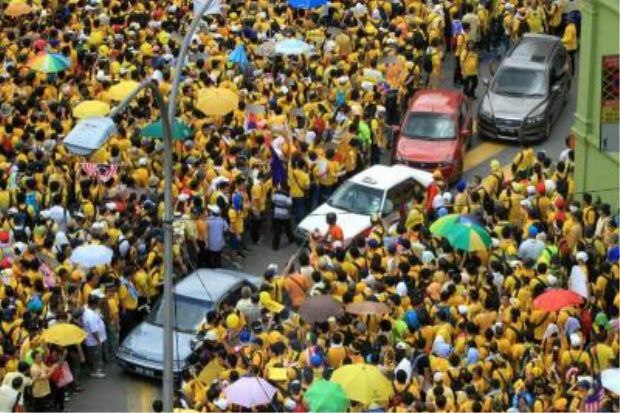 Dr Mahathir arrives at Bersih 5. 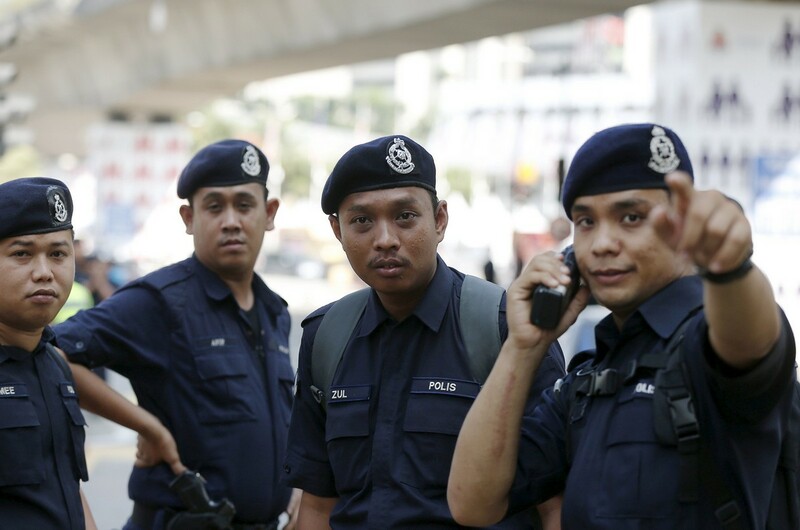 Police standby near Masjid Jamek at 7 am. A Bersih 5 member having her photo taken in front of the police barricade at Jalan Tuanku Abdul Rahman at 8am. 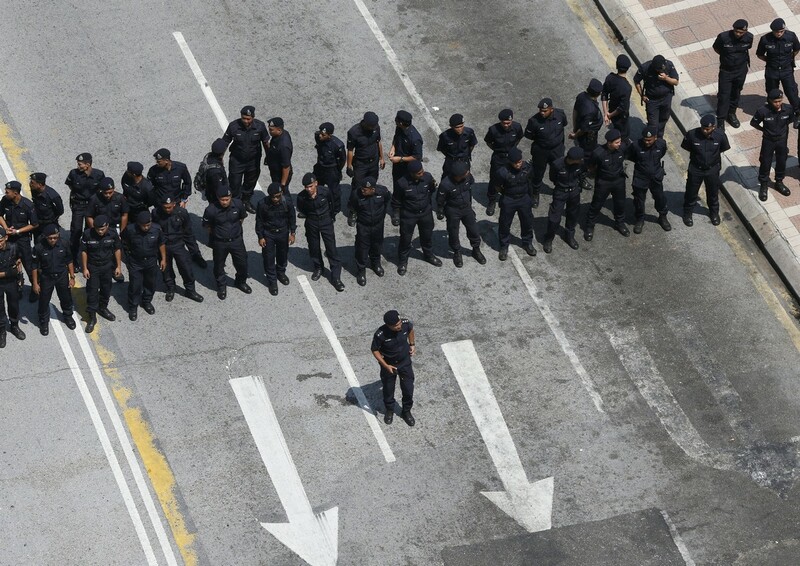 Police line drawn across Jalan Tun Perak at 8am. Police FRU at Jalan Tun Perak at 8am. Part of the Bersih 5 security members having their photo taken in front of the police barricade at Jalan Tuanku Abdul Rahman at 8am. A Bersih 5 member in a Pikachu costume at the rally. 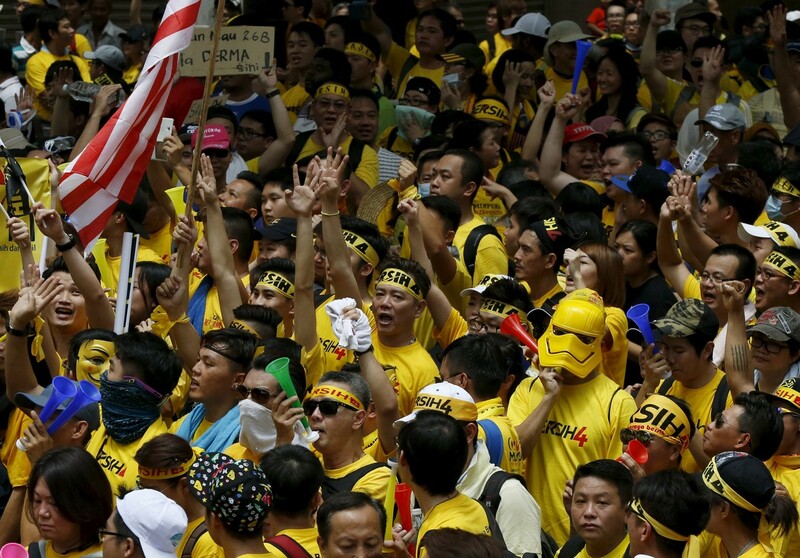 A Bersih 5 member in a Pikachu costume and his group at the rally. Bersih 5 rally at Dataran Maybank, Bangsar. 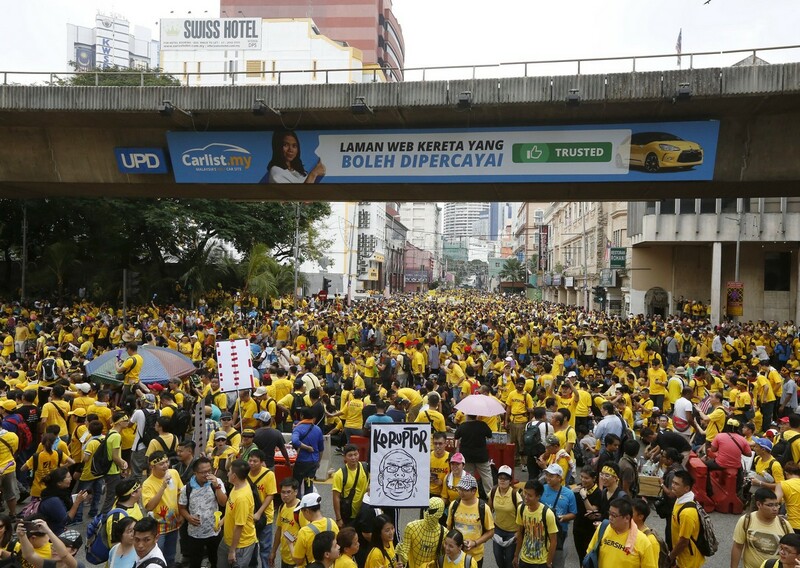 rowd of Bersih 5 rally gathering near Masjid Jamek. 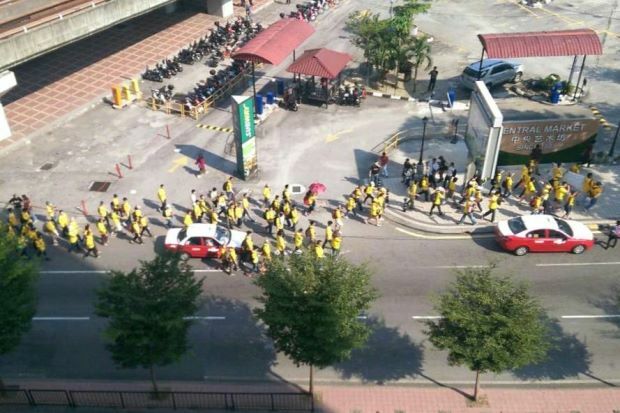 LRT coming in from Taman Bahagia side at 9.40 packed with yellow shirts. 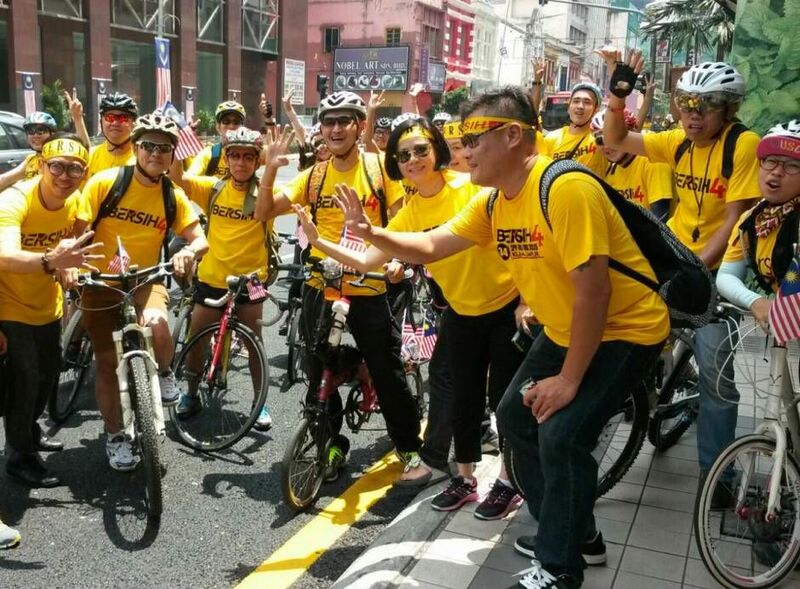 Donning the yellow Bersih T-shirt for the first time, former prime minister Tun Dr Mahathir Mohamad called on Malaysians to take part in the Bersih 5 rally on Saturday. Maria Chin Abdullah, chairperson of the coalition of Malaysian NGOs and activist groups known as Bersih, that also translates as "clean" in the local Malay language, speaks with journalists in Kuala Lumpur on September 14, 2016. 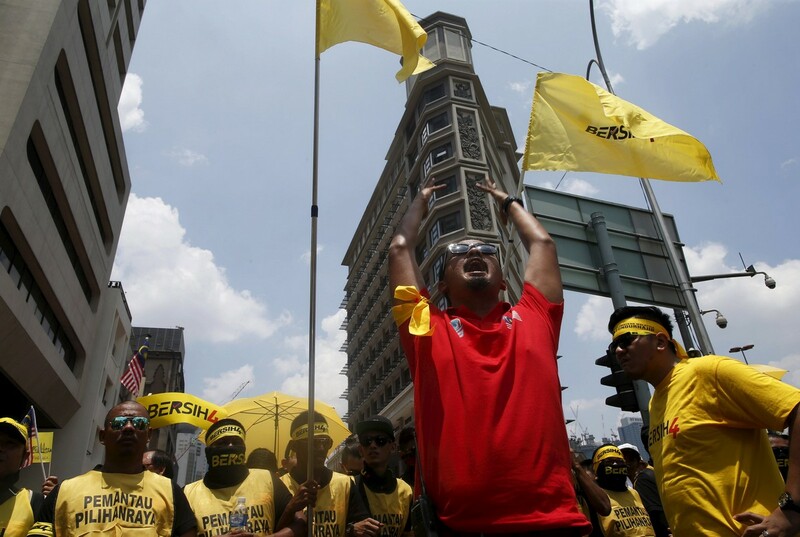 "That is why we need to show our dissatisfaction with the Government by taking part in this demonstration by Bersih in Dataran Merdeka and also at other locations," he said in the video. 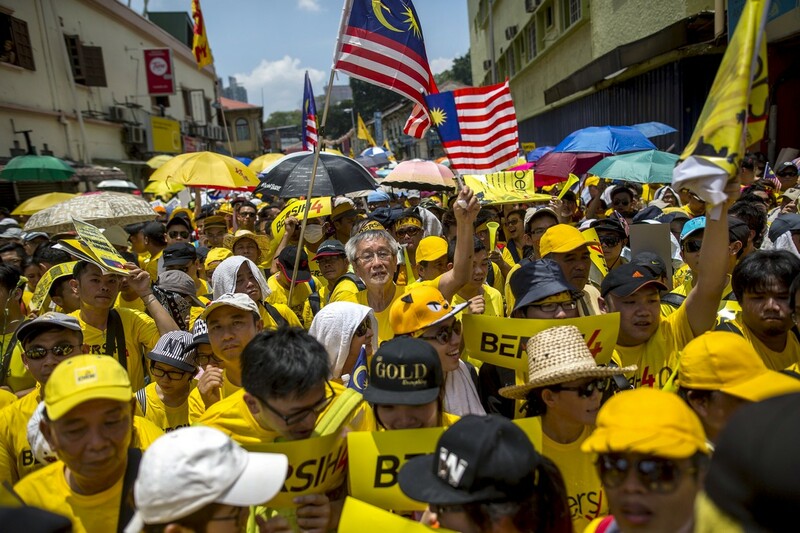 Dr Mahathir added that he hoped all Malaysians would join the rally as Bersih aimed to find a way to revitalise the country by changing the Government so it would not be ruled by "someone who embezzled so much money" and was being "accused by the whole world". 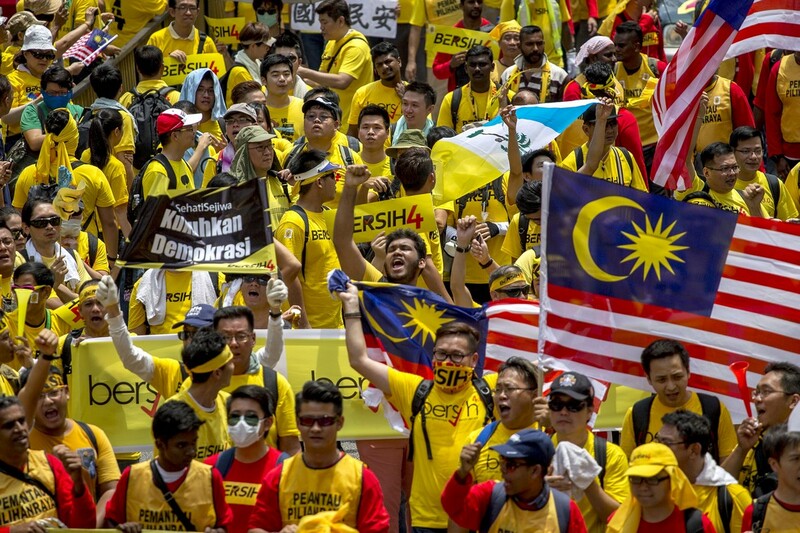 In a video uploaded on Twitter, Dr Mahathir, who banned protests and assemblies during his 22-year tenure as prime minister, said Malaysians needed to show their dissatisfaction through the demonstration. 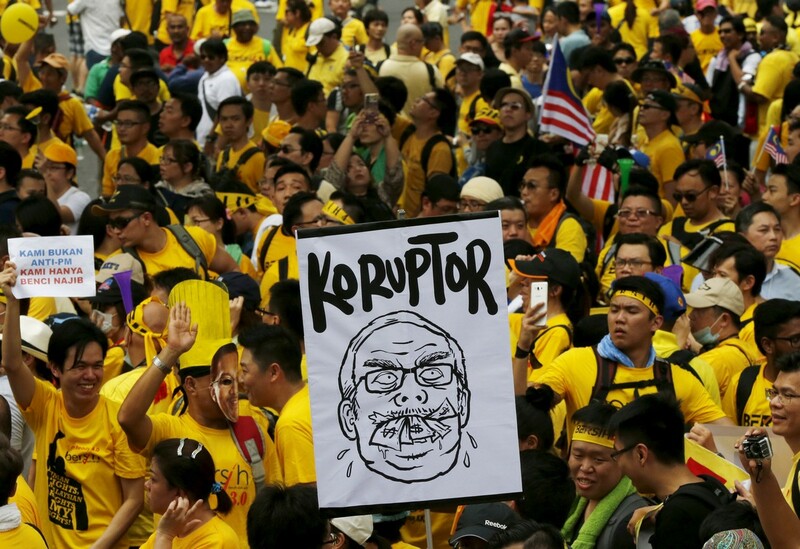 "Malaysia is now in distress because (Prime Minister) Datuk Seri Najib's administration has caused the country to rake up billions of ringgit in debts that are unable to be paid by the Government and the country. 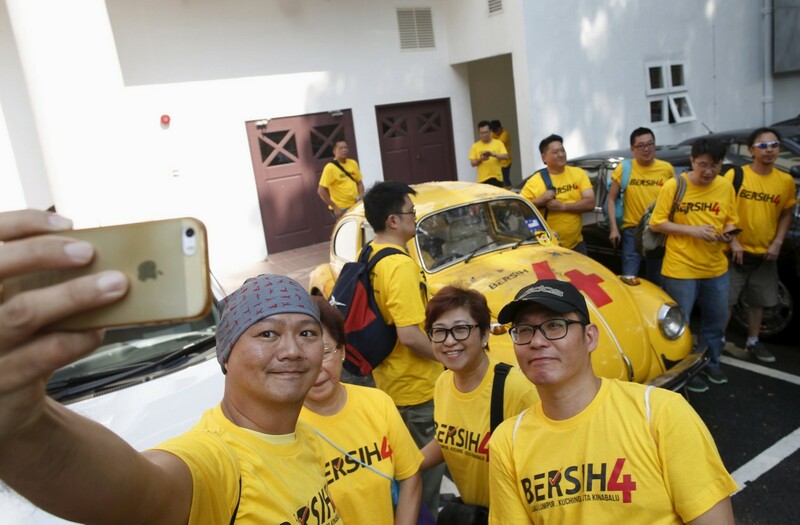 In 2015, Dr Mahathir attended Bersih 4.0 with his wife. On Sunday, Dr Mahathir was seen wearing a "free Anwar" badge at the Pakatan Harapan convention in Shah Alam. A convoy of two dozen cars snakes into this sleepy Malaysian town, breaking the rural calm with warnings of corruption and national decay. 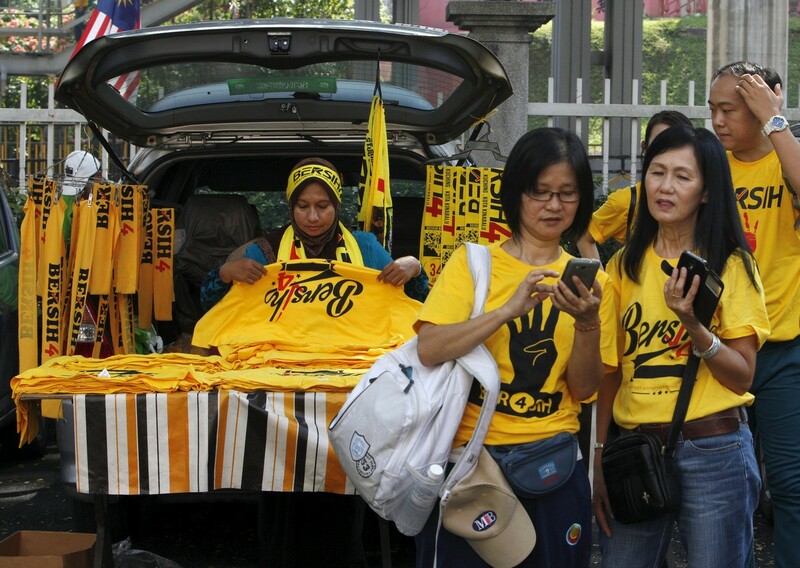 Maria Chin Abdullah, chair of civil-society alliance Bersih (2nd, R) signing autograph on a banner ahead their demonstration in the capital Kuala Lumpur to demand Najib's resignation in Malaysia's northern town of Ipoh. 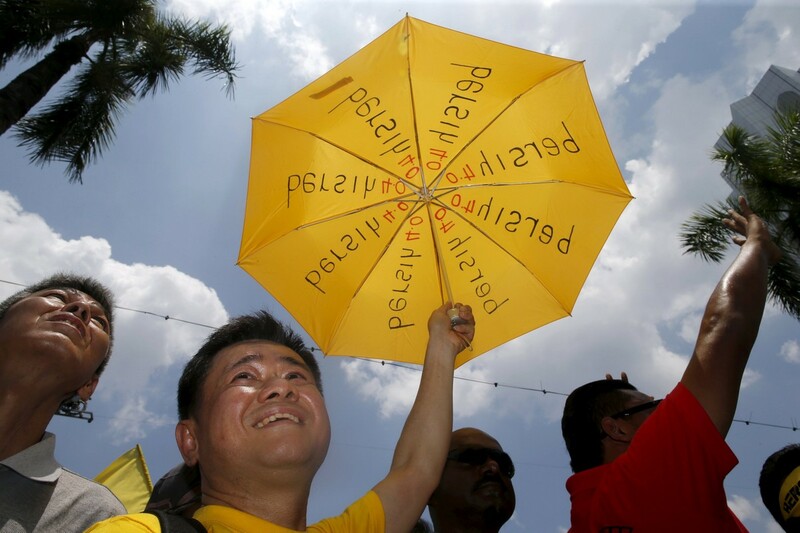 A member of civil-society alliance Bersih delivering a flyer at ahead their demonstration in the capital Kuala Lumpur to demand Najib's resignation in Malaysia's northern town of Ipoh. 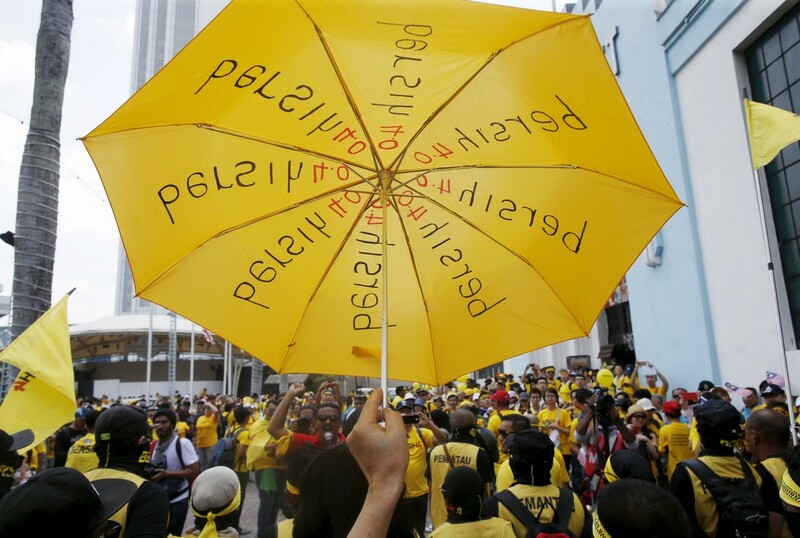 Malaysia's leading political protest group announced plans for a seven-week roadshow capped by a November 19 rally in the capital to demand the scandal-tainted prime minister's resignation. 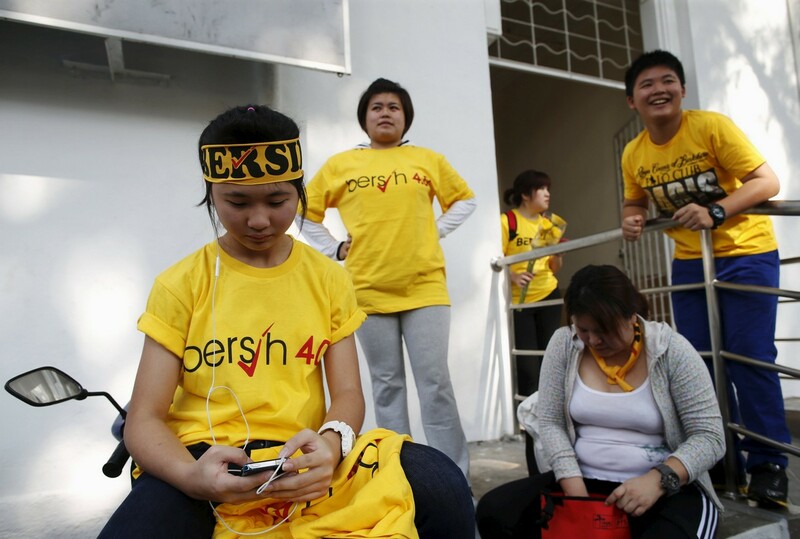 Maria Chin Abdullah (L), chair of civil-society alliance Bersih talking during her door-to-door canvassing ahead their demonstration in the capital Kuala Lumpur to demand Najib's resignation in Malaysia's northern town of Ipoh. 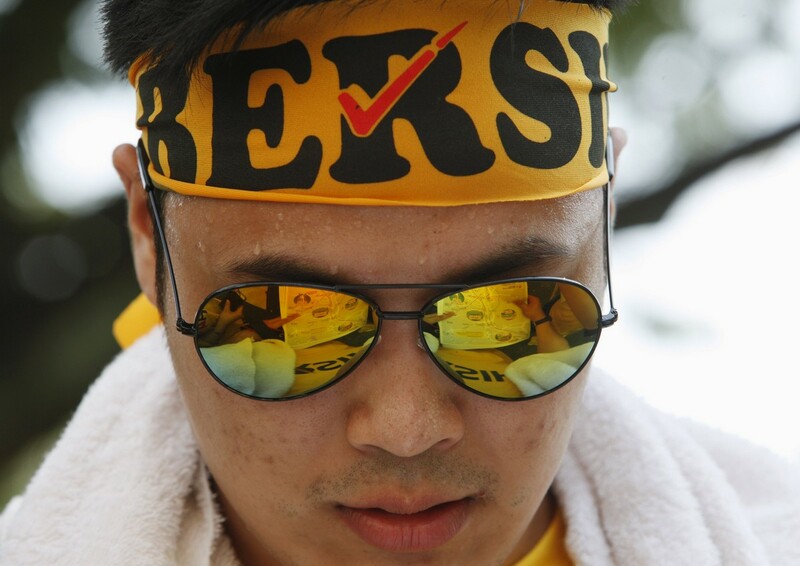 A group of Bersih supporters have gathered at the Ampitheatre here although the premises was closed by the Kuching North City Commission (DBKU) for restoration works. Dozens of council enforcement officers including plainclothes policemen were seen monitoring the area as the crowd gathered. The main section of the park was also cordoned off with barricade tapes. The group converged at the Ampitheatre from five nearby gathering points at Jalan Badaruddin, civic centre, museum park, Reservoir Park and St Joseph School. 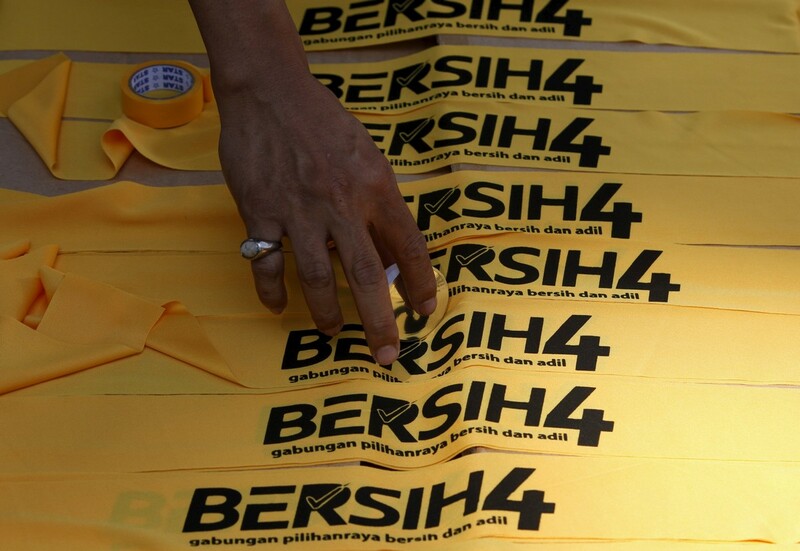 Bersih 5 committee is still negotiating with local authorities for another venue for the assembly. Bandar Kuching MP Chong Chieng Jen also showed up at the rally as an observer.